An effective resume grabs the reviewer’s attention by painting a clear picture of the value you offer. And it has to do that with words, because so many companies use keyword matching technology to pick out resumes of interest on the first pass. That’s why most resumes are simple written documents, without a lot of images or graphics. That’s changing, though. Some – not many, but some – candidates are creating infographic resumes, documents that use data visualization to help tell their story. Although most of them use simple graphics like pie charts or pictograms to illustrate accomplishments, others go above and beyond. So can an infographic resume benefit your search? There are pros and cons. A Picture is Worth a Thousand Words: An infographic resume helps you stand out, because some 65 percent of the population consists of visual learners. So, pictorializing your accomplishments increases the impact on your audience. Imagine a chart showing the number of end-to-end software programs you’ve developed and deployed over the last three years, or lines of code you’ve debugged. That could look pretty impressive, don’t you think? Enhance Your Online Presence: Whether you’re trying to attract recruiters, IT managers or consulting clients, adding images to your online resume, website, portfolio, blog or social media profile will help you connect with your target audience. It certainly can give you a slicker, more bleeding-edge image. Showcase Your Creative Side: If creativity and innovation are your strong suits, an infographic resume is a great way to demonstrate your inventiveness. After all, using a visual resume format can show employers that you’re on top of new trends and proficient with new technology. For certain, Web designers and other creative professionals need to have an infographic resume in their arsenal. 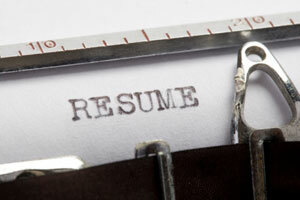 You Still Need a Traditional Resume: If you plan to apply online you’ll still need a traditional resume. “An infographic resume is an adjunct document,” explains Wendy Enelow, a Virginia-based resume writer and executive director of the Resume Writing Academy. Although Enelow believes they’re an effective tool, infographic resumes can’t be read by modern applicant tracking systems even when they’re peppered with keywords. That means you’ll have to email an infographic version of your resume to a hiring manager or bring a hard copy to interviews, networking events and so forth. Still, Enelow thinks they have merit, especially if you attach one to your thank you note after an interview. You Need Artistic Flair: There are a bevy of new tools and templates out there that are designed to aid the graphically challenged. Nevertheless, a document that’s too busy or hard to follow may end up being rejected. No Critical Mass: Traditional IT managers may see infographic resumes as a gimmick. That’s why you can’t substitute them for a traditional resume, at least, not yet. Along with info-graphics, you can also add a link to your video resume to make you stand out from crowd. It will make an impression on employer that you’ve made effort for job application and seriously interested in particular job.